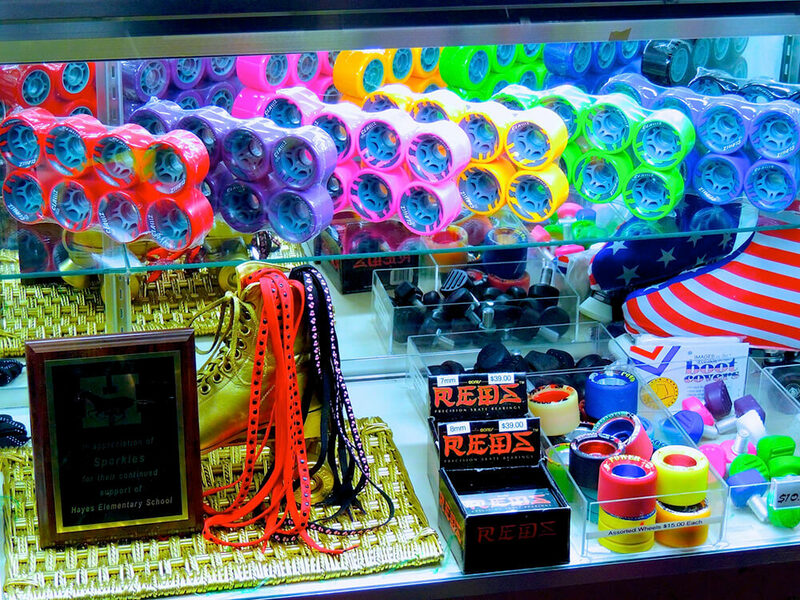 You can purchase everything from skate laces to toe stops to brand new skates in our Pro Shop. Purchase a pair of skates for a beginner skater, or update your old pair. Inlines, Quads, Speed Skates, bearings, wheels, laces, bearing oil, and more are available! 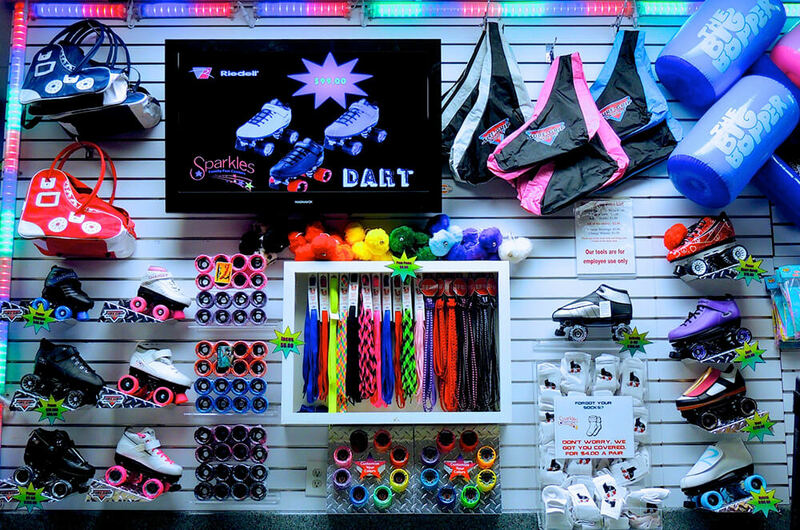 Don’t forget, Skates make a GREAT Gift! 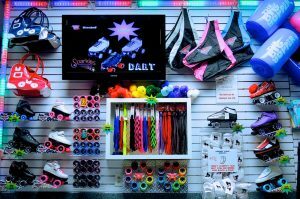 If you aren’t sure what type of skates to purchase, get a gift card and let them pick out their own!